I wasn’t aware of the General Data Protection Regulation (GDPR). It was Darryl Sparey, UK Business Development Director at Hotwire PR who put me right. It turns out I’m not alone in being behind the curve. 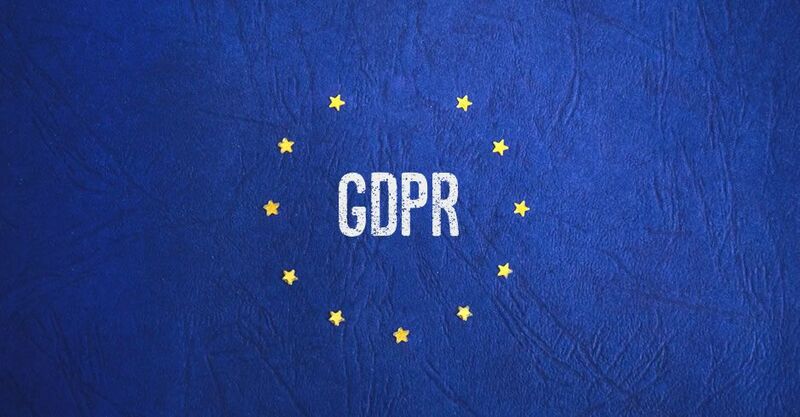 According to a Data & Marketing Association’s study of 250 respondents almost half of affected businesses will be unprepared for GDPR’s enforcement date. Who are the winners of GDPR? I don’t work in the EU - does GDPR affect me? I ﻿have ﻿email subscribers on my blog, am I affected? What about existing personal data held? When does GDPR go live? Where can I learn more about ﻿GDPR﻿? The General Data Protection Regulation (GDPR) (Regulation (EU) 2016/679) is a regulation by which the European Parliament, the Council of the European Union and the European Commission intend to strengthen and unify data protection for all individuals within the European Union (EU) [Wikipedia]. In terms of data protection: EU citizens. the law gives European citizens more control over what happens to their data. Commercially the big winners will probably be Google, Facebook and Amazon according to Digiday because they have the direct relationship with their customers across numerous devices. Independent publishers that lose ad revenue from the fallout may flock to products like Facebook’s Instant Articles. The upside to publishers for this will be avoiding paying the costs associated with gaining the right compliance. The downside is twofold: compromising on an ad revenue, and ceding control of distribution to Facebook. Other likely winners are likely to be law firms, compliance companies and the EU parliament the latter potentially collecting a windfall in fines from companies which fail to comply. ​Ad-tech companies, for sure. Also, publishers that rely on third parties to sell subscriptions will suffer. If the intermediaries can’t collect data for targeted advertising, publishers will lose out on revenue. One way for publishers to push back against Silicon Valley's stranglehold of media distribution is to band together and to create data co-ops. Paradoxically, EU citizens may potentially suffer if media outlets go to the wall should they be unable to manage their own privacy compliance. Yes, according to marketing automation platform, Communigator: Under the GDPR “it is no longer enough to rely on a form fill and add the [email subscriber] to your database. Anyone can enter any email address into a form. You must now prove it was the person whose email address it was." In practice this means that website owners must ensure email address subscription capture is undertaken via a double opt-in. The General Data Protection Regulation (GDPR) was adopted on 27 April 2016. It becomes effective from 25 May, 2018. With fines. Big fines. Companies that fail to comply will face eye-watering fines of up to €20 million (£17.4 million) or a maximum 4% of their global revenues - whichever is the higher.